Himan Brown was a legendary radio producer/director who left his creative fingerprints on such programs as Flash Gordon, Inner Sanctum, the Thin Man, and Barrie Craig: Confidential Investigator. During the 1970s, he participated in the radio revival efforts that brought the General Mills Adventure Theater and CBS Mystery Theater to the air. Brown was a passionate believer in radio declaring in a 2003 interview quoted by the New York Times in his obituary, “I don’t need 200 orchestra players doing the ‘Ride of the Valkyries.’ I don’t need car chases. I don’t need mayhem. All I need to do is creak the door open, and visually your head begins to go. The magic word is imagination.” And Brown made magic happen. Before he became an actor, William Gargan had been a detective. This served him well in the movies where he was frequently cast as a detective. This carried to radio where Gargan was tasked several times with detective roles. First was of the detective game show, Murder Will Out. Then as Ross Dolan in I Deal in Crime. He played the title role in Martin Kane for both radio and television, and then landed the role of Barrie Craig. When Gargan took the role of Craig, detective shows were coming and going, most never lasting more than a season with the ascendancy of television. Gargan stayed on the air for four years as radio began its decline. 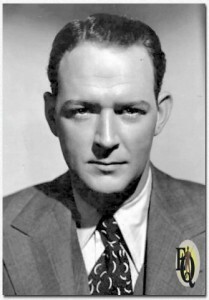 In addition to his detective roles, Gargan became a regular in the early 1940s on Maxwell House’s Good News program and served as an announcer on the Bing Crosby program. Runyan’s writing was more than the basis for a syndicated radio series called the Damon Runyan Theater or the basis for several movies that were adapted to the radio, or the author of unrelated short stories that became a basis for radio, Damon Runyan painted a picture of New York and its underworld that was striking yet slightly whimsical. It influenced countless writers dealing with the same subject. There are dozens of radio plays that even if Runyan’s name wasn’t on the script, his work influenced it. Perhaps best known as the last Johnny Dollar, Kramer was far more. He was a radio actor’s actor. His earliest recorded role was a 1940 appearance on Columbia Workshop. He became a regular cast member on Counterspy. He appeared in guest roles on programs like Gangbusters, Cavalcade of America, 21st Precinct, Rocky Fortune, X Minus One, and Suspense. It was only in the mid-1950s that he got some starring roles. He became the last Pat Abbott on the Adventures of the Abbotts and then parlayed that in to a starring role in the strikingly similar, It’s a Crime, Mr. Collins. It was 1961 when became the last Johnny Dollar while at the start of his 20 year career on Edge of Night as Bill Marceau ( a role that would net him an Emmy nomination.) Kramer also took part in radio revival attempts as a regular on CBS Mystery Theater. 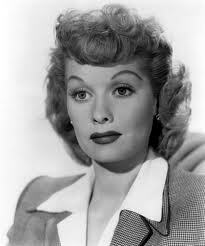 Lucille Ball was not as important to nor as successful in radio as she was in early Television. However, given the staying power of I Love Lucy, that’s not surprising. Her radio days showed her cutting her teeth. She had a solid run on My Favorite Husband for three years opposite Richard Denning and many of these scripts were reused on I Love Lucy. She also played off some of radio’s best funnymen such as Abbott and Costello and Bob Hope. Also, radio allowed her to show far more of her dramatic acting ability than she would express in later years. Of particular interest are her exciting appearances on the classic radio classic anthology, Suspense. I’ve long been a Himan Brown fan. I used to listen to CBS Mystery Theatre when I was a teenager. I used to get off work a little before 10pm, which is when it came on. I used to listen to it and sometimes wait in the drive to hear the ending. I don’t think I knew anyone besides my dad who was big on radio at the time. Over the past year or so I’ve become a big fan of William Gargan. For me, Gargan’s voice is that of the quintessential detective and Barrie Craig was his best vehicle for it. It’s easily one of my all time favorites. Great writing and acting. The stories are always well thought out. It’s also no surprise that Barrie Craig was made by both Gargan and Brown.